This year for Monty’s birthday we did something a little different. With his and Betsy’s birthdays two days apart organising parties can be super-stressful. We often hold two parties in one day which is fun and a huge amount of work. 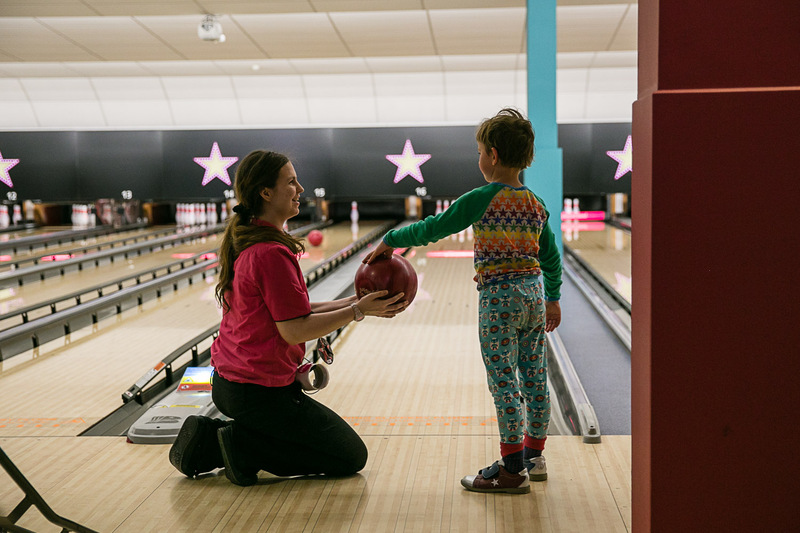 Luckily for me Hollywood Bowl got in touch right before birthday week and asked us if we’d like to try out a bowling party. Monty’s excitement when I asked him went through the roof in seconds, a pretty safe indicator of things to come. Planning the party was simple, invitations sent out and besides a cake to bake absolutely zero input from me. Honestly, I hadn’t thought about how much work I normally put into parties and this was a breath of fresh air. We booked the party for ten children and with inevitable dropouts I gave the venue a call to adjust. Interestingly they told me there was no problem confirming final numbers on the day and paying only for those children. We turned up to the VIP booth and were greeted by our party host. And this is where everything takes a turn for the awesome. You have a dedicated party host who runs the party for you. 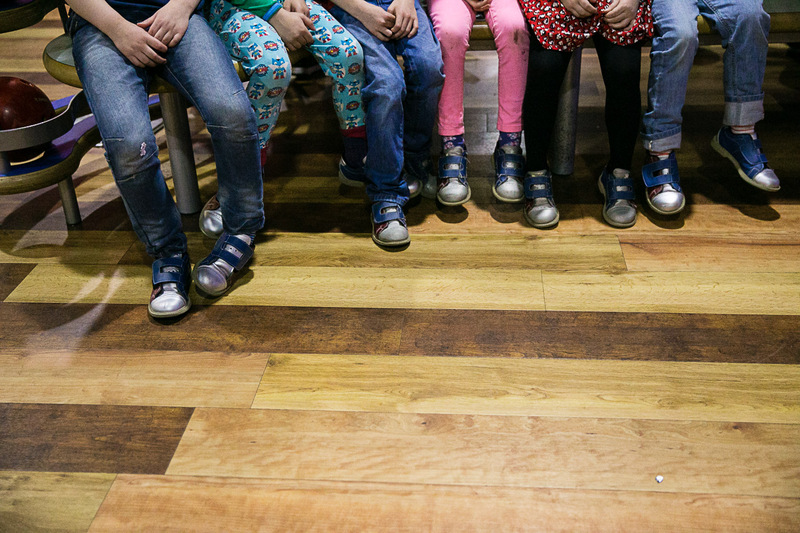 They manage the games, scoring, technique, keep an eye on children who run off and make sure the party stays on track. Oh my goodness, this is genius! How many parties have you run pretty much single handed? Besides the obvious benefits of food and venue being taken care of, the party planner has it sold for me. I could sit back, cheer on the children and let someone else be in charge. Bliss! With an age range of 5 – 8 present there was a vast difference in their skills but nonetheless everyone had a good game. 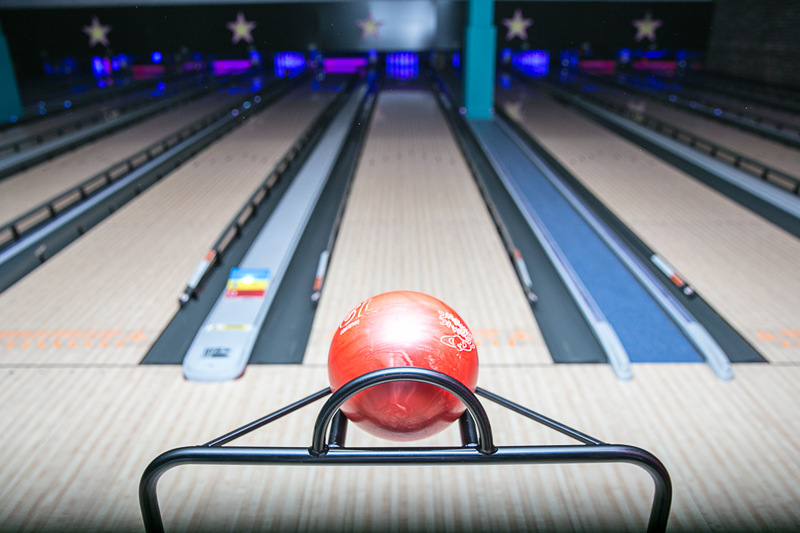 With bumpers that pop up depending who’s bowling and a ramp for those who need it no one had a run of gutter balls. 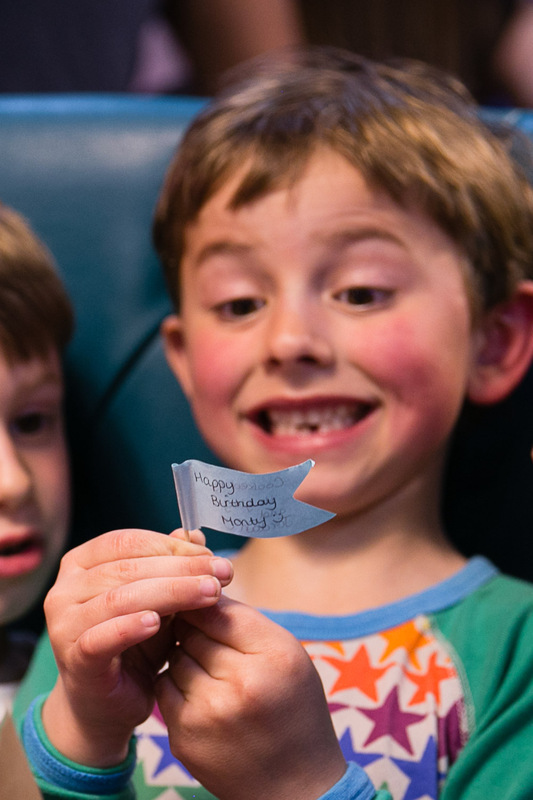 There were stickers for strikes, prizes for the high scorers and the children were encouraged to celebrate each other’s wins rather than compete at all costs. Food had been ordered at the beginning of the party and we retired to the VIP area (yes, I felt swanky) for the mini bowler’s meal. Monty’s food came topped with a hand written flag from the kitchen staff. It’s a small touch but it meant a lot to him; he brought it home with his cards and party photo. From my point of view the food isn’t the strongest point of the party as it’s a pretty standard selection of kids menu (menus here) but as the children assure me that they loved it I’m not complaining. At seven years old Monty was in his element. Bowling was just the right mix of active and contained for his friends who were all as excited as he was. The two hour party is a good length for the mix of bowling and socialising; changing pace at the point where they are ready for it. Would we do it again? Without a doubt yes. Having hosted more than twenty parties for my children I was more than happy to hand over and let someone else run the show. Relax and enjoy I say! 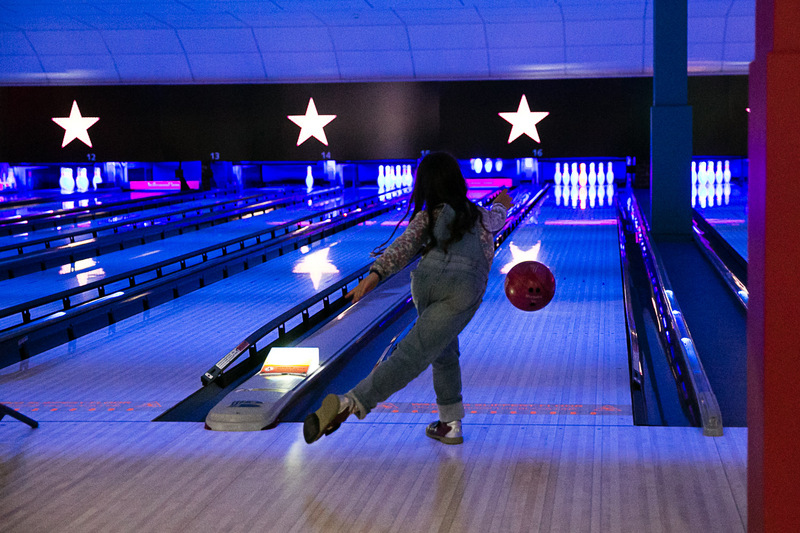 Parties at Hollywood Bowl start at £7.99. We experienced the Ultimate Party Package which comes with some extra benefits including a dedicated party host. Prices for this start at £9.99 and full details can be found at Hollywood Bowl. Our experience was provided free of charge for the purposes of this review. You know my advice when it comes to ironing is don’t buy clothes which crease. Of course there are going to be times when you simply can’t avoid it so finding an iron which make the experience as easy as possible is the way to go. You know I love to sew and quilt and I can’t escape busting out the iron to press (so much better when you call it pressing) my fabrics after pre-washing. I have been known to complain of pulling a muscle during a big pressing session so when Phillips asked me if I’d like to try out their new SpeedCare Steam Generator Iron I figured it couldn’t hurt. Steam generator irons have a tank which is connected to the iron by a pipe which delivers the steam without having to top up the iron frequently. The iron locks onto the base station for easy storage and to keep it safe when you’re not using it. When it comes to the ironing I had huge amounts of steam and the iron got nice and hot. The temperature adjusted quickly. 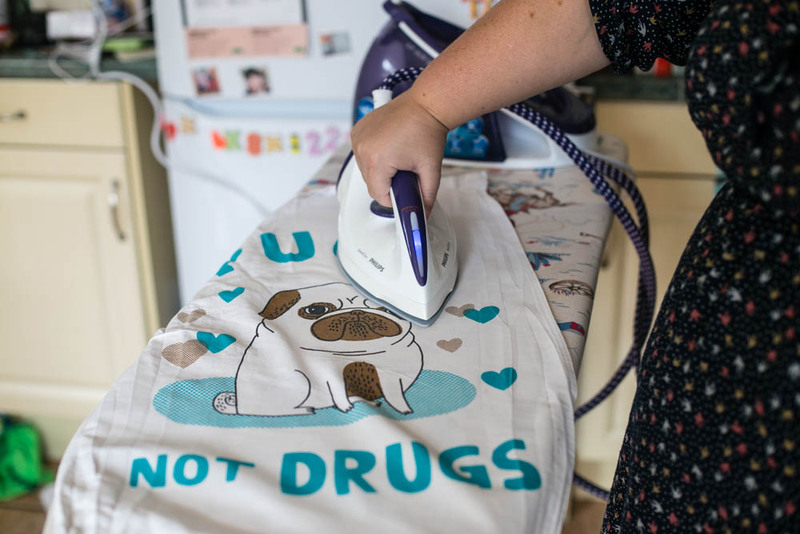 I tried it our on one of my terminally creased teatowels and it fared better than my regular iron. The steam did come with water droplets and even though it hadn’t had time to build up limescale I found a white powder on my fabric. It may be that the iron needs to flush through a bit before using for the first time. 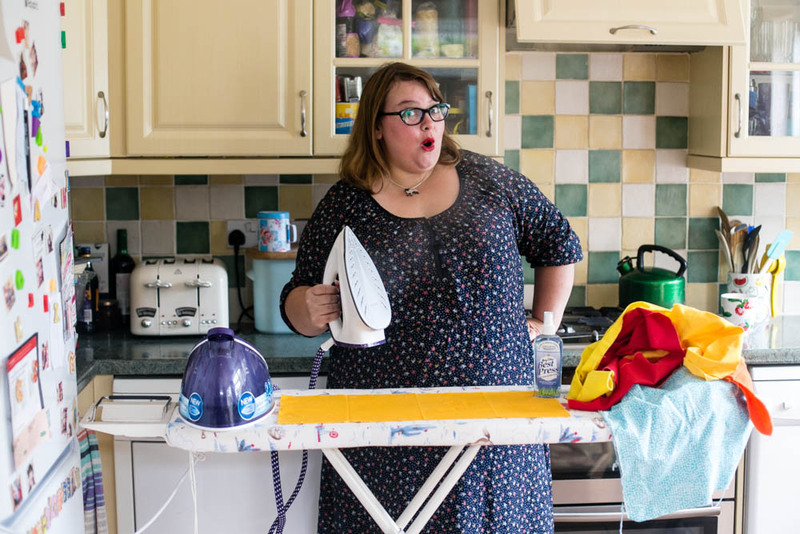 As a tool I think this iron is sound – it’s going to enable you to get through the ironing faster and escape to spend the afternoon playing with your family rather than refilling and heating a steam tank. 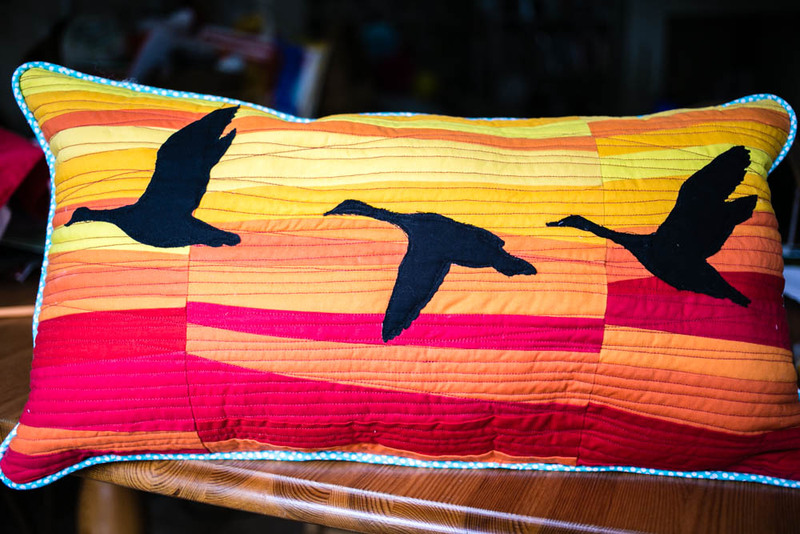 As for me, I pressed in super-fast time and got to work on this improv sunset pillow for my Mother-in-law’s birthday. The iron was sent to me by Phillips for review and you can buy it here. The fabric used for my pillow and the Best Press spray pictured are both from Simply Solids – my favourite place to buy solid colour fabrics.